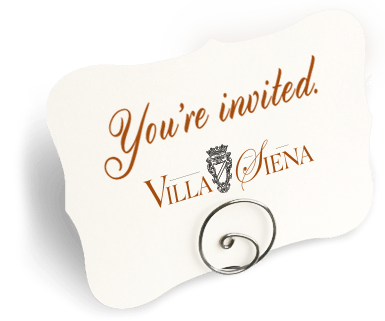 Why did you select Villa Siena? More than anything, you want your wedding to be memorable. 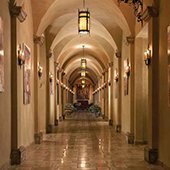 Hear what some recent brides have to say about why they chose Villa Siena. 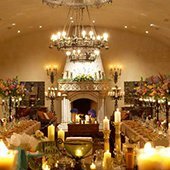 An ideal Arizona wedding site, Villa Siena is Phoenix's most picturesque party venue. 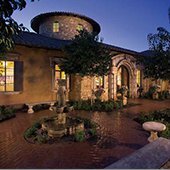 A beautiful setting for a lovely outdoor wedding reception, the Piazzas Toscana is reminiscent of the town square in Sienna Italy. 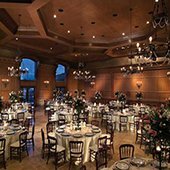 The grand Firenze is a large banquet hall perfectly suited for wedding receptions, private parties, and corporate events for up to 250 people. Choose the smaller Chianciano Banquet Hall for gatherings of up to 100. La Stanza Pisa is an intimate room proving a unique and striking space for an elite corporate boardroom or simply lovely place to display wedding gifts.